July 2nd and blog #2. Getting better, huh? I'm back at the lake and Julie and Donna are on the way. We hope to get some work done before the 4th. I WANT TO DO A FOLLOW UP ON MY BLOG OF MARCH 2, 2010. I wrote a very long, and in depth, article about Gun Control. My basis was the law suit brought against the city of Chicago by a citizen, Mr. Otis McDonald, shown on the left. 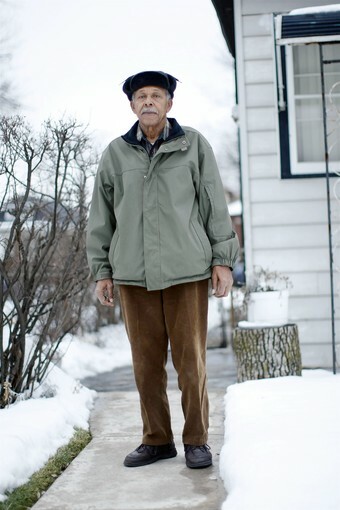 The city had denied Mr. McDonald his Constitutional rights and he was fighting back by taking it all the way to the Supreme Court. The Supreme Court decision was in Mr. McDonald's favor. He is entitled to maintain a gun for self protection. UNFORTUNATELY, THE DECISION WAS 5-4. On the 13th of this month another anti-gun judge will be added to the court. The anti-gun people, including the Obama Adminstration, are incensed by the decision. What will they do next? Well for certain, they will continue the fight. ONE OF THE THINGS I EXPECT IS THAT AMMUNITION WILL BE TAXED WITH A PROHIBITIVE FEDERAL TAX. I ALSO EXPECT THAT AMMUNITION POSSESSION WILL BE LIMITED. I have no basis for these beliefs except for my old guide of "What If". If this makes sense to you, why not stock up. Buy cases of shells instead of boxes. Shooting a automatic hand gun with two 10-shot clips or a rifle with a 16 shot capacity can use up a lot of shells in a brief period of time. I won't repeat all I said in the original article, but YOU ARE URGED TO READ IT AGAIN. I will repeat a quote from Thomas Jefferson, "THE STRONGEST REASON FOR THE PEOPLE TO RETAIN THE RIGHT TO KEEP AND BEAR ARMS IS, AS A LAST RESORT, TO PROTECT THEMSELVES AGAINS TYRANNY IN GOVERNMENT". Current polls strongly indicate that a broad majority of Americans no longer trust their government. WE CAN DO SOMETHING ABOUT THIS 124 DAYS FROM NOW. Plan to vote and, perhaps just as important, share your convictions with friends and family. What can you say to express how you feel? 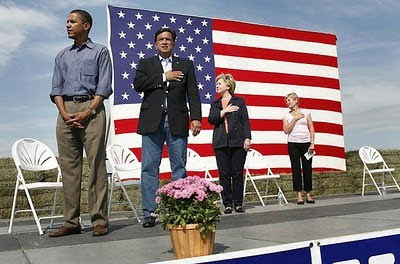 Copy this picture of President Obama showing disrespect to the American Flag. One picture can be worth a thousand words!